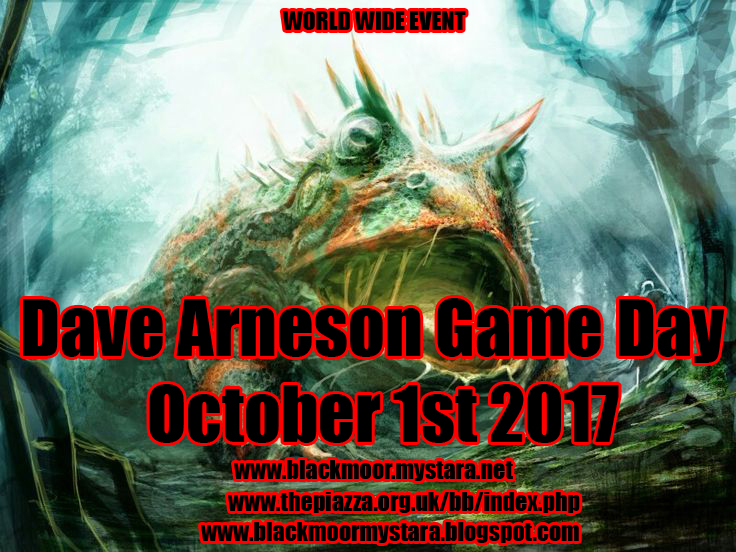 Havards Blackmoor Blog: Dave Arneson Game Day 2017 is Today! 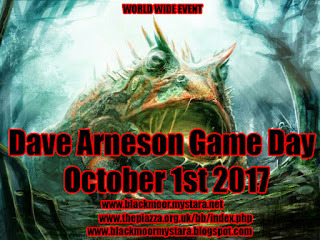 Dave Arneson Game Day 2017 is Today! Today is a great day for gaming! 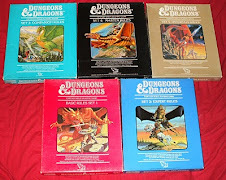 On October 1st 1947, Dave Arneson, co-creator of Dungeons & Dragons was born. 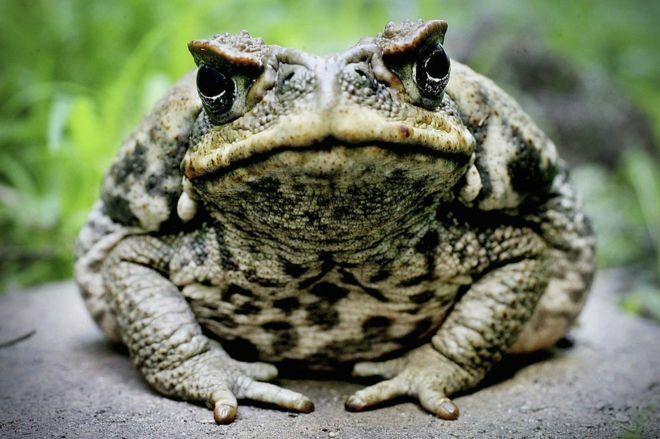 Do we need more excuses to get together with friends and roll some dice? Dave Arneson loved gaming all his life. He was the one who first combined the roleplaying techniques he had learned from his friend Dave Wesely with a fantasy environment. Dave also developed the dungeon exploration model and allowed his players to create characters who would advance in abilities as the campaign went along. In 1972 he went down to visit Gary Gygax because Dave wanted to show Gary the game he called Blackmoor. The two of them set down to create Dungeons & Dragons! Last year was an incredible year for Dave Arneson Day. This year we also have many things in store for you. Many people are reporting that they will be running games today. Others are posting blog articles or posting on the different forums where Blackmoor and Dave Arneson are being discussed. There is a Renessance Fair happening not to far from Dave Arneson's home in Minnesota today and we hope they might make some announcement regarding the day. Over at the Comeback Inn, Season 4 of the MMRPG (Free D&D adventures!) is about to be released. Huzzah. Considred buying the Goodman Game's supplements. Are they any good? Want to Play Blackmoor With An Original Player? Blackmoor MMRPG Season 4 Debut!